Blood/Breath Alcohol Concentration (BAC) is the amount ofalcohol in the bloodstream or on one's breath. BAC is expressed asthe weight of ethanol, measured in grams, in 100 milliliters ofblood, or 210 liters of breath. 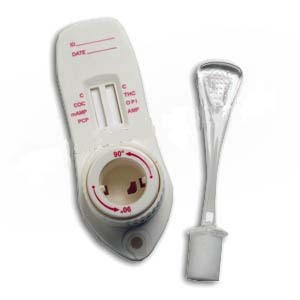 BAC can be measured by breath, blood, or urine tests. Some states define legal intoxication for purposes of driving as having a BAC of 0.08 or greater, in most cases (please check your state for the specific BAC level of intoxication). But alcohol may affect driving skills at BACs of 0.05 or even lower. Driving skills, especially judgment, are impaired in most people long before they show signs of drunkenness. The public usually associates BAC with "drunk driving." But it's more accurate to refer to "alcohol-impaired" driving because you do not have to be "drunk" to be impaired in your ability to safely drive a car. Use this calculator to instantly compute your estimatedblood/breath alcohol concentration. Keep in mind the results generated are estimates. The primary purpose is to provide information about the responsible use of alcohol. How fast you drink. In general, the quicker you drink, the higher your peak BAC will be. Body size. Large people tend to reach lower BACs than smaller people, given the same amount of alcohol. Type of mixer used. Water and fruit juices mixed with alcohol may slow the absorption process, while carbonated beverages may speed it up. A man and a woman, with all other factors being equal, both drinking the same amount of alcohol, will have different BAC levels. Hers will be higher. Your actual BAC is dependent on many complex factors, including your emotional and physical condition and health, and what you've recently ingested (including food, water, medications and otherdrugs). No blood/breath alcohol calculator is 100% accurate. The best that can be done is a rough estimation of your BAC level. You should not consider this to be a guideline for how much you can drink and still drive responsibly, or avoid being arrested! The best policy is don't drink and drive. Period. NOTE: The basic formula for estimating a person's blood/breath alcohol concentration comes from the National Highway Traffic Safety Administration.